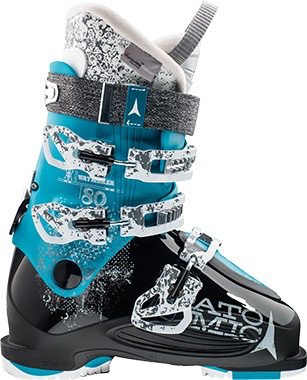 With a compact 3-buckle construction and our famous Atomic medium fit, the versatile Waymaker 80 W is ideal if you’re after a progressive all-mountain ski boot that’s slightly less extreme. It features a Silver liner with 3M™ Thinsulate™ Insulation to keep your feet warm and responsive even in extremely cold and damp conditions. 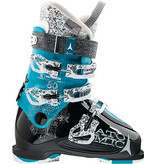 Performance-wise, it’s gives you everything you need – the Free/Lock System will help you on your way to your favorite spots in the resort and allow you to ski with control and confidence when you get there. Comfort wise, a high degree of cuff mobility makes it hassle free to step into the boot and takes the strain out of walking. It’s also WTR compatible. And it features a Live Fit Performance zone on the outside of the boot, keeping you comfortable instantly and the blood flowing all day.